Taipei, March 3 (CNA) Taiwanese gourmet and writer Lucille Han died of uterine sarcoma Tuesday, aged 62. Han was diagnosed with the disease, a rare cancer of the muscle and supporting tissues of the uterus, about two months ago, after a trip to France with her husband in January, one of her friends told CNA. Despite treatment at Taipei Veterans General Hospital after returning to Taiwan, Han died early in the morning at the hospital. Han, who began publishing poetry at 16, is known for writing about topics including food, music, movies and travel -- inspired by her stays in the United Kingdom and trips to some 60 other countries. 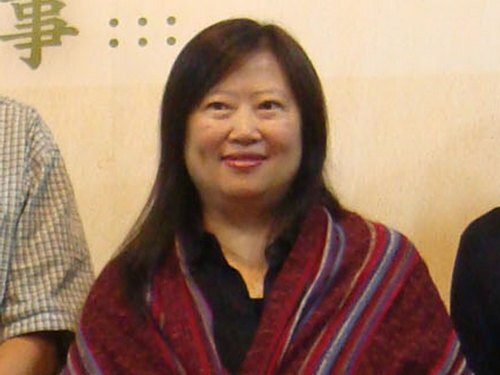 She also wrote prose and scripts for TV and movies, which won her prizes including the Taipei Literature Award and Golden Bell Awards -- Taiwan's highest honors for radio and TV.